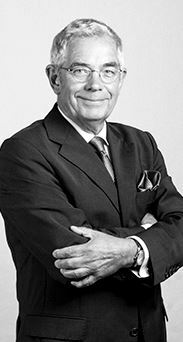 Peter worked in the Computer, Software, ICT, and Media & Broadcasting Industry as a Sales Professional, Sales Manager and General Manager for more than 25 years. After his career in companies like WANG, Telekom, T-Systems (Media&Broadcast) he started a new phase as a Consultant in the field of Executive search. Peter has a wide range of experience in Sales, Marketing, Technical Services, and he is an experienced manager of small and medium sized organizations – up to 400 employees. He is certified SHL and Thomas International expert, and he has great qualifications in the field of controlling, and human resource management. Talent search and identification, selection processes and potential development is his one of his specialities. Since 2007, companies like SIEMENS SEN, RICOH, WTG, Dyrberg Kern, Allan Electronics, Eurofins Steins, Nadiro, Hachez and other clients have trusted Peter’s expertise. He has a broad knowledge of FMCG, luxury, and the ITC business in Germany and he is highly experienced in international cross border projects. He lives in Hamburg and Cologne. Peter speaks both German and English.